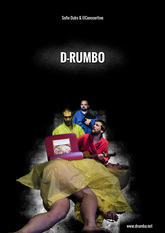 "D-rumbo born of a fall, a collapse. It is an old building of white bricks that collapses. It is the wasteland in the city center. Earth, stones and dry grass. A sterile space surrounded by a metal fence. It is a memory that disappears, a rubber that wears out. 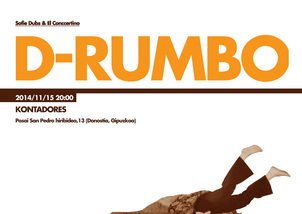 D-rumbo is to fall, to end, and to lose. It is a mise en abyme (a deconstruction) of what might be some vital collapses. There dance, poetry, theater and music mingle and meet. Show in Spanish and Basque. The translations into French of the poems proposed are made available to the public. Extracts. D-Rumbo from Imanol G.A. on Vimeo.